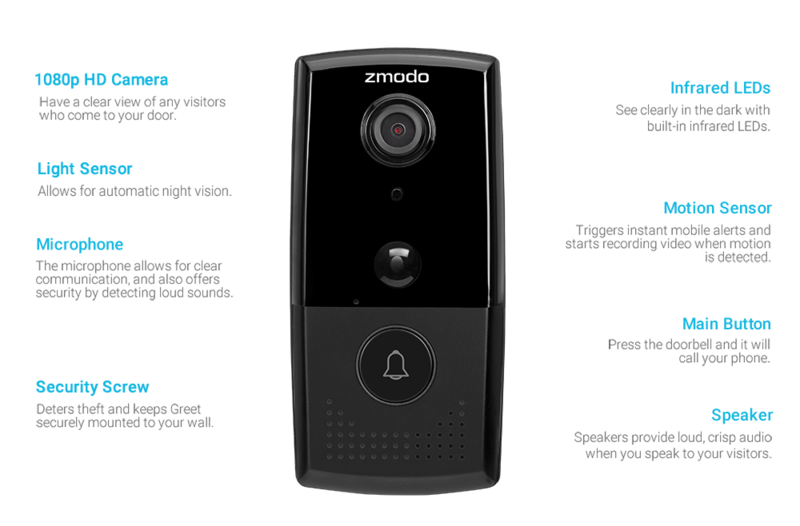 The new 1080p full HD Zmodo smart doorbell that will make sure you never miss another visitor. 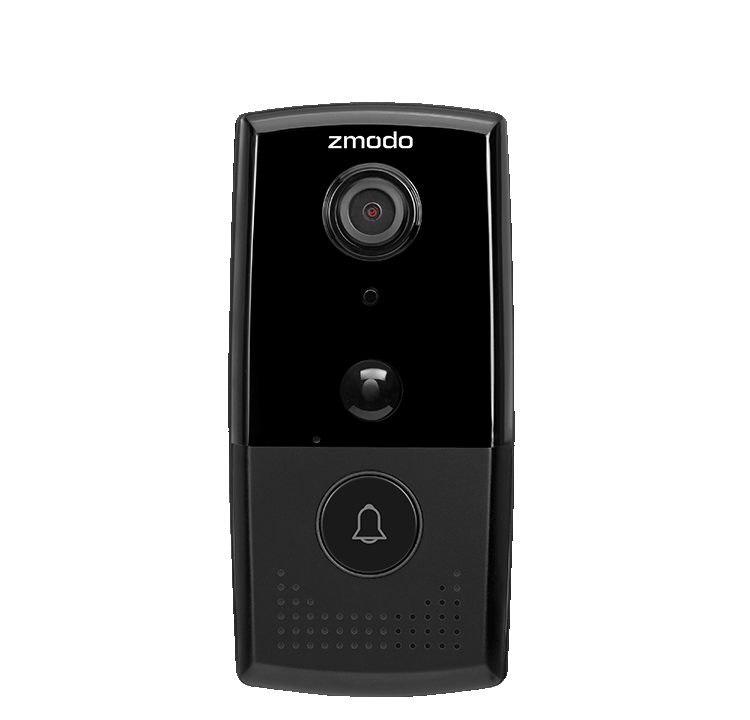 Buy Zmodo Greet Doorbell and get a free 30-Day Cloud Plan/1 Year Now. 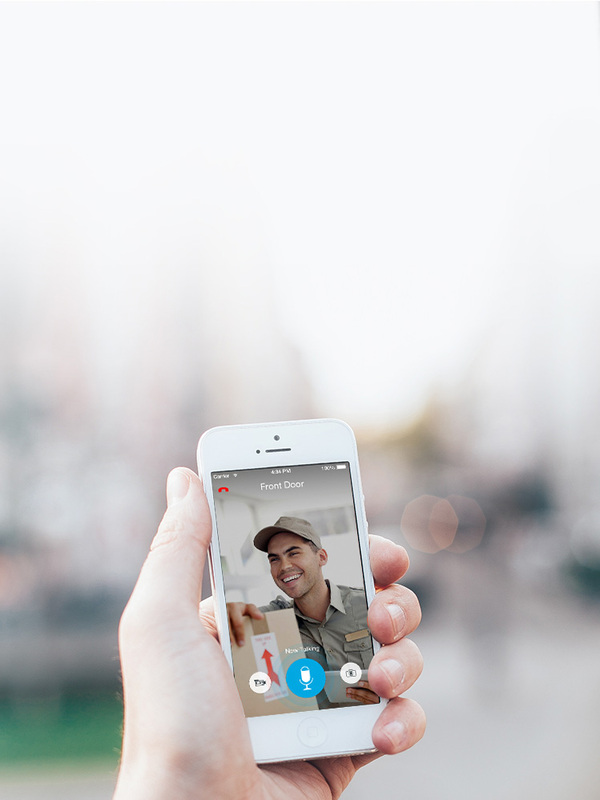 See, hear, and speak to your visitors on your smartphone, whether you're at home or on the go. 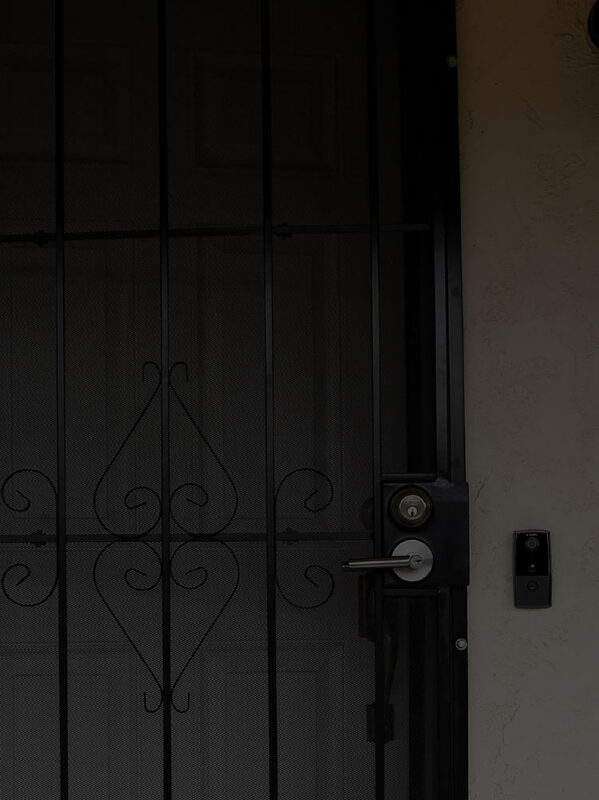 Tell the delivery man to leave the package at the door, and ward off potential burglars looking for an empty home by answering your door from wherever you are. With 1080p full HD video, smart motion detection, and real-time alerts, it's like you're at home, even when you're not. 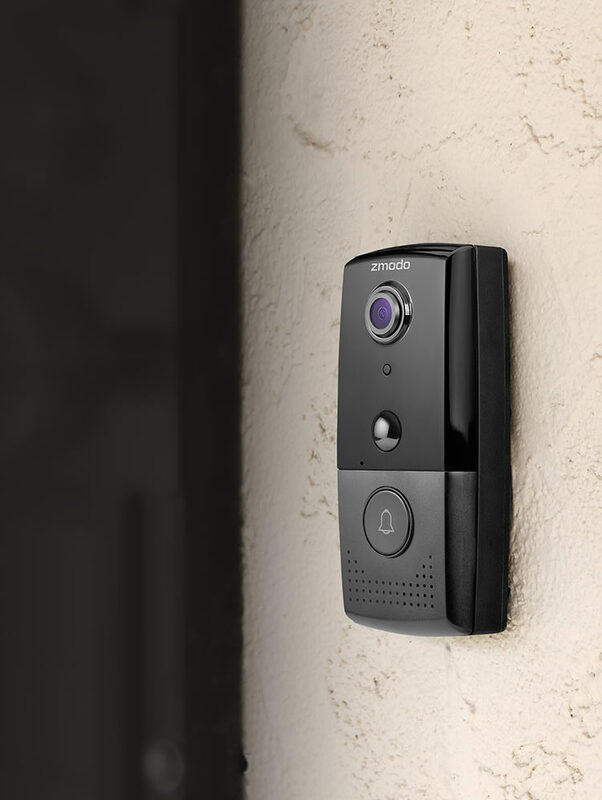 Greet HD automatically records a 10-second video clip when motion is detected, even when the doorbell hasn’t been rung. 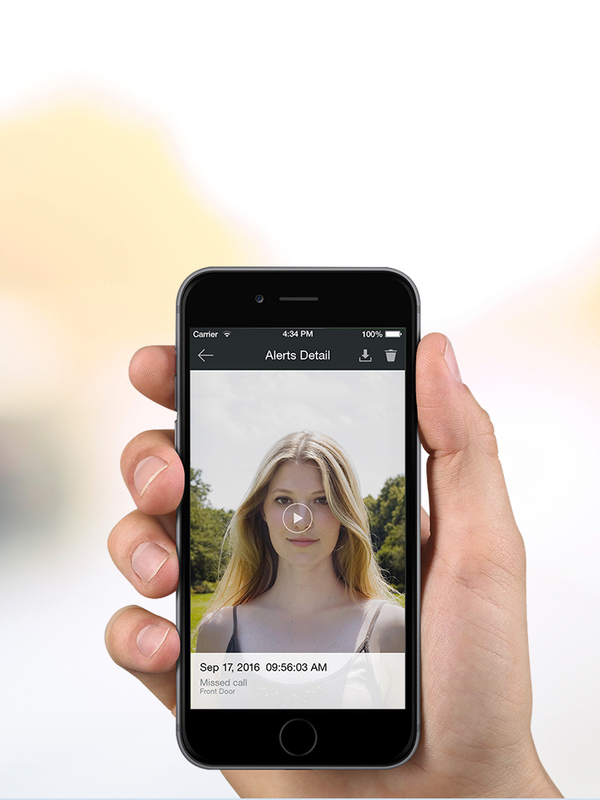 Clips are stored in meShare Cloud for 12 hours and can be viewed from your smartphone. 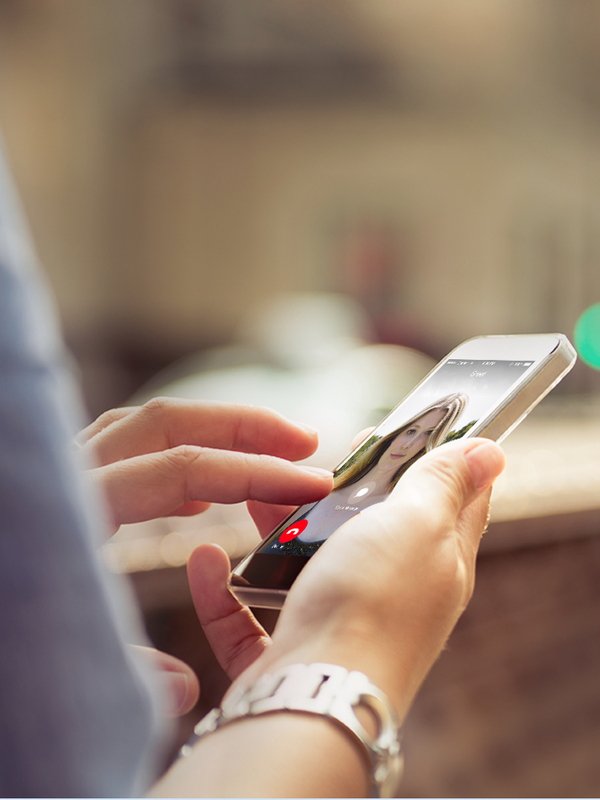 Pick up the call, ignore it, or play a pre-recorded message. If you miss the call, Greet HD will automatically play your pre-recorded message for your visitor. 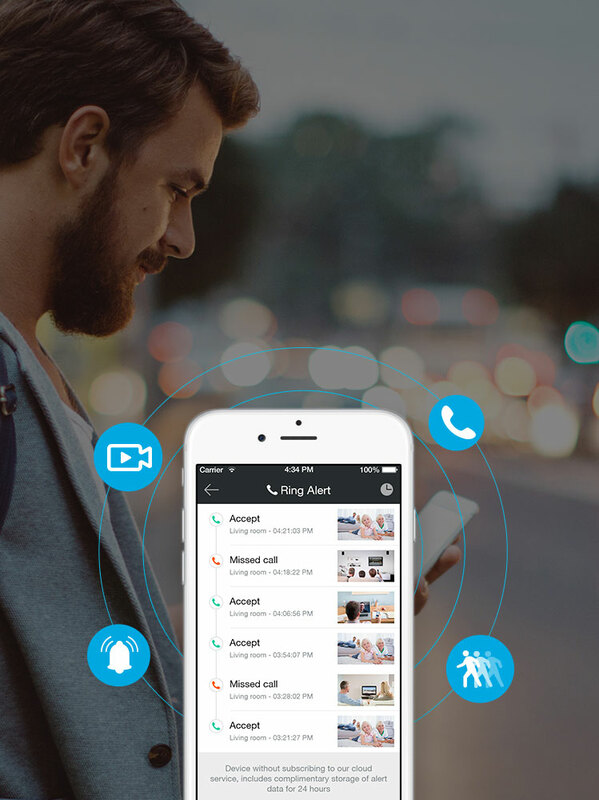 You can view the missed call at any time from your smartphone. 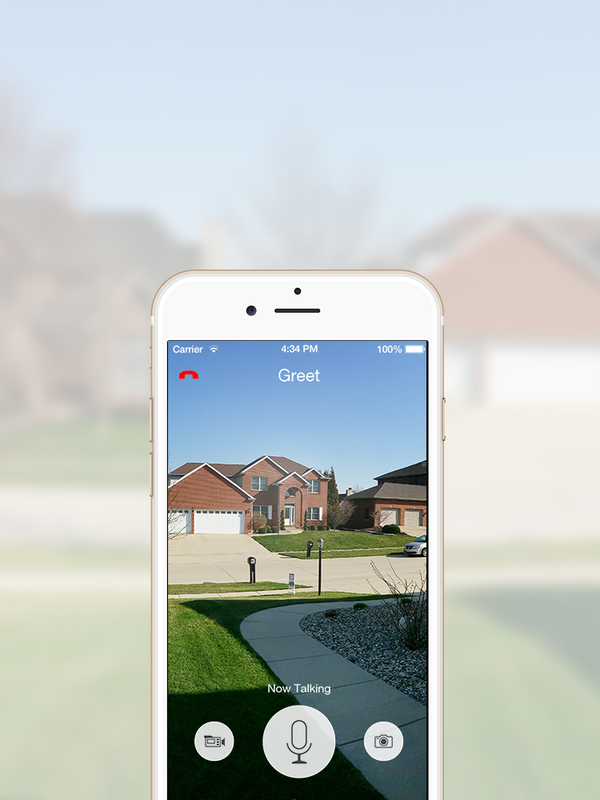 Greet HD allows you to adjust your viewing angle from within the app so that you can see visitors from anywhere on your porch. Set up easily in minutes. Greet HD was designed with simplicity in mind. You won't need to do any complicated configuration or setup. 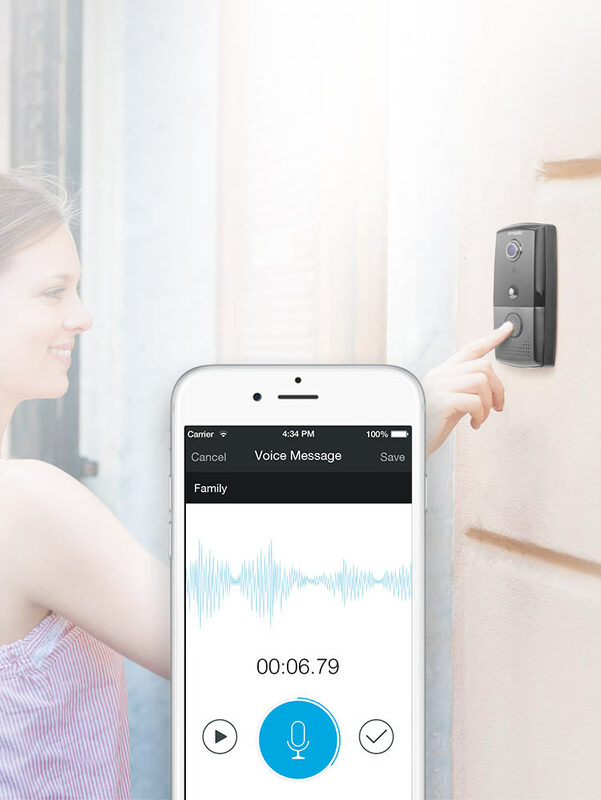 Just mount the doorbell and connect it to your home's existing wiring, download the free meShare app, and follow the in-app instructions to set up in minutes. * Incompatible with electronic doorbell chime. 10-36VAC circuit mechanical doorbell chime required. * Incompatible with electronic doorbell chime. 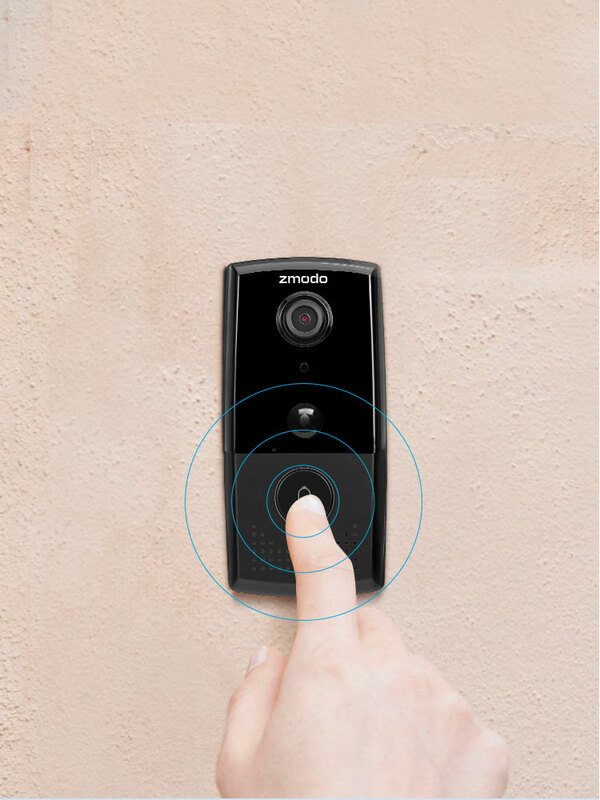 Connect Greet HD to your existing doorbell wiring, and wait for it to power on. Download the free Zmodo app. Connect to your WiFi, name your device, and your doorbell is ready to go. 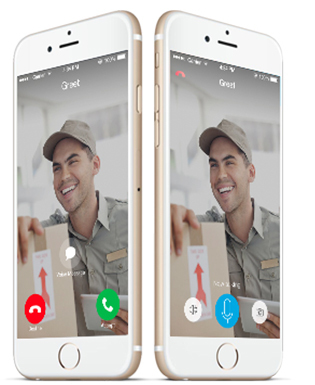 Greet HD gives you control, convenience, and safety right on your smartphone. Whether you're home or away, you can feel confident knowing your home is covered. Share your device with family members, so that multiple users can receive alerts and calls. 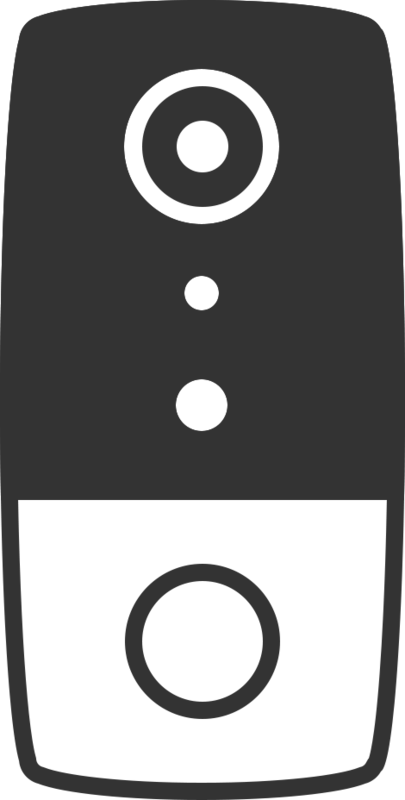 With a 120° horizontal angle of view, you can digitally pan to see your visitor no matter where they're standing. 4.92" x 2.36" x 0.98"